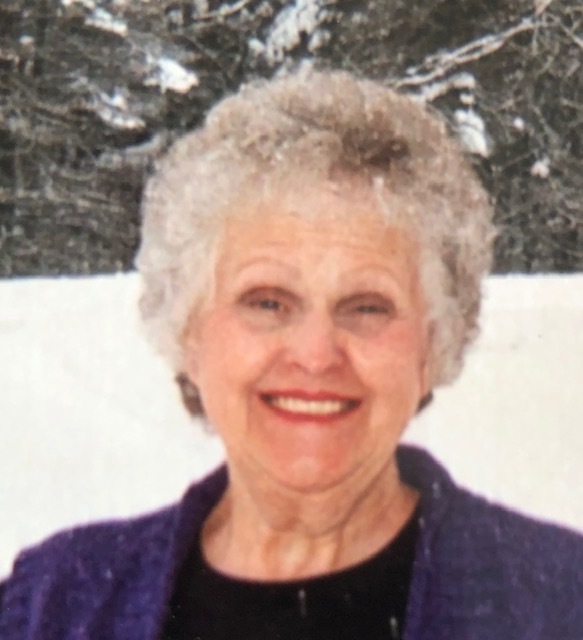 Elaine M. Larsen, 76, of Kennedy, N.Y., gained her wings with family by her side Sunday, Feb. 10, 2019, after a battle with breast cancer. Elaine was married Feb. 7, 1959, to Lloyd W. Larsen of Steamburg, N.Y.
She enjoyed her gardens and planting wild flowers around the house. Elaine was a loving mother, not just to her own sons but the entire family. She was preceded in death by her parents, Tracey and Francis Waite; a son, Brian Larsen; and four brothers and five sisters. Elaine is survived by her husband of 60 years, Lloyd W. Larsen: sons Darrell (Diane) Waite of West Palm Beach, Fla., and Joshua Larsen of Kennedy, N.Y.; two granddaughters: and four great-granchildren. Elaine would not want us to grieve, for she is with the lord and walking the streets of gold. Funeral services will be held at noon on Thursday at DiStasio Funeral Home, 478 Route 83, at Balcom Corners South Dayton. Interment will immedialy follow the service at Valley View Cemetery, Ellington, N.Y. A reception will follow burial at the Kennedy Fire Hall. In lieu of flowers, donations may be made to the Kennedy Fire Hall or the New Covenant Assembly Church. Online condolences may be made at www.distasio funeralhome.com.